Melissa Gifford - Independent Stampin' Up!® Demonstrator: Coaches cards part 3! Another trifold card for another awesome coach! 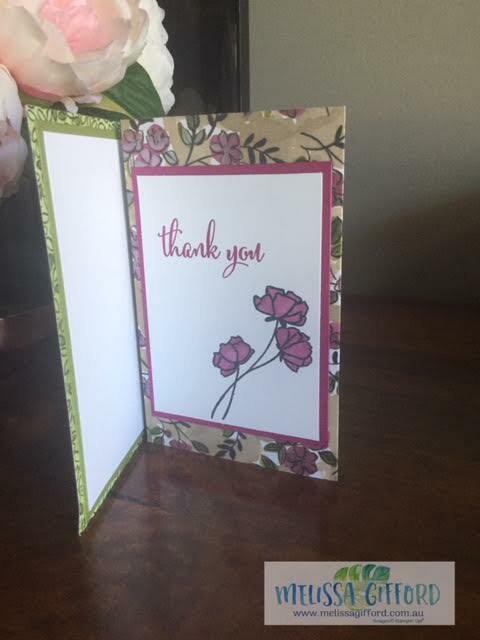 This style of card is the best design for a group card or one where you want to say a bit more than the usual to and from! The flower was made using the scallop circle punches. I then crumpled them into a ball to add some texture. I also made a small gift bag match for some cash but it appears I didn't take a photo of it sorry! 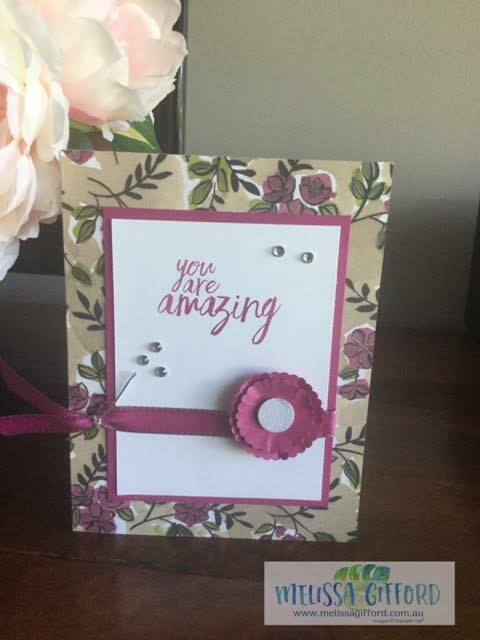 These cards are easy to make and having the double sided designer series paper means you get to enjoy both patterns in the one card!